Dinah Shore—a radio and film star in the 1940s and 1950s—hosted and sang in a series of monthly broadcasts on NBC from 1961-1963 called The Dinah Shore Show. When she announced a sabbatical from television in order to concentrate on her family, the last show of the season was closely watched. Shore built her last show around four new, youthful talents. Pictured below, left to right, are Shore's guests on the May 12th show: The Chad Mitchell Trio, Sam Fletcher, Georgia Brown, Shore, and Streisand. In the last segment of the show, Barbra joined Dinah and her guests Georgia Brown (from Broadway's Oliver! ), Sam Fletcher, and the Chad Mitchell Trio (folk singers). They all sang a rousing rendition of “Brotherhood Of Man” (from How to Succeed in Business...) and Barbra sang one of the verses. 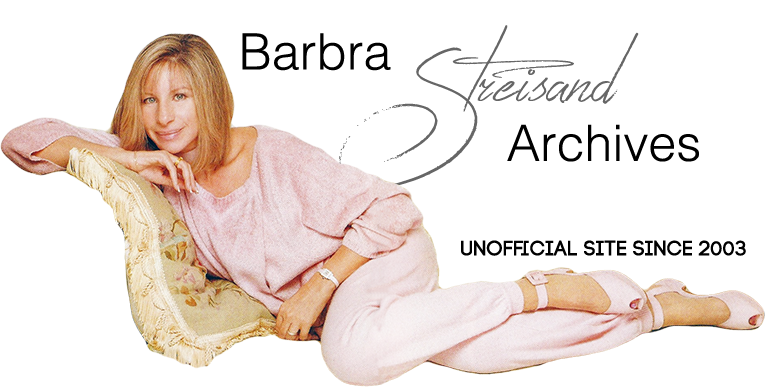 Streisand flew to California for her first time to appear on The Dinah Shore Show — which was taped in color. Fans have circulated a black and white kinescope of the show on videotape for years.